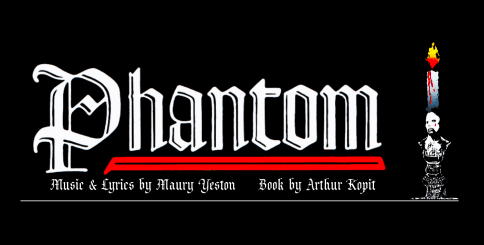 The longest running show in Westchester Broadway Theatres’ 44-year history “Phantom” is returning September 13 through November 25, 2018 and December 27, 2018 through January 27, 2019. “A Chorus Line” on mainstage is being held currently through April 1; then “Sister Act,” April 5 to July 1; “Anything Goes,” July to September 9; “Phantom,” September 13 to November 25; and “A Christmas Carol” November 29 to December 23. Visit broadwaytheatre.com or call 914-592-2222. “Songs of Protest,” an ArtsRock production, is coming to BOCES Nyack Theater on April 7 at 7:30 p.m. After party to be held at Maura’s. Visit artsrock.org for more info. “Pippin” to be performed by STAC Laetare Players, Thursday, April 19 at the Sullivan Theater. Contact Jennifer Tannis at St. Thomas Aquinas College. Almost Queen four-piece band to perform April 27 at 8 p.m. at Paramount Hudson Valley Theater in Peekskill. Visit paramounthudsonvalley.com. Seventies disco with the New York BeeGees and special guest Rainere Martin in a tribute to Donna Summer April 14 at Westchester County Center in White Plains. Visit www1.ticketmaster.com for tickets. “Blackbird,” produced by Shades Repertory Theatre at Garner Arts Center Theatre, Garnerville, on March 29, 30 and 3,1 a fundraiser for Rockland Welcome Committee to help care for abused children. Call 845-675-804 .or visit shadesrep.org. Andy Cooney at the Paramount Hudson Valley Theatre, Peekskill on Friday April 20, a benefit for Peekskill St. Patrick’s Day parade. Call 914-739-0039. Elmwood Playhouse Nyack conducting auditions for “Death of a Salesman” on April 23 & 24 at 7 p.m. Performances to be held weekends July 13 through August 4. Call 845-353-1313 or visit elmwoodplayhouse.com/auditions. Elliot Forrest, broadcaster/producer speaker, to attend a meeting of the Rockland County Music Teachers Guild, April 4 at 10 a.m. at Nyack Library. Tiffany Lee, clarinetist in concert at Nyack College, April 1 at 4 p.m. Free admission. Nyack College Chorale Spring Concert to be held Sunday April 8 at 7:30 p.m. Also free, held at Paddington Hall.